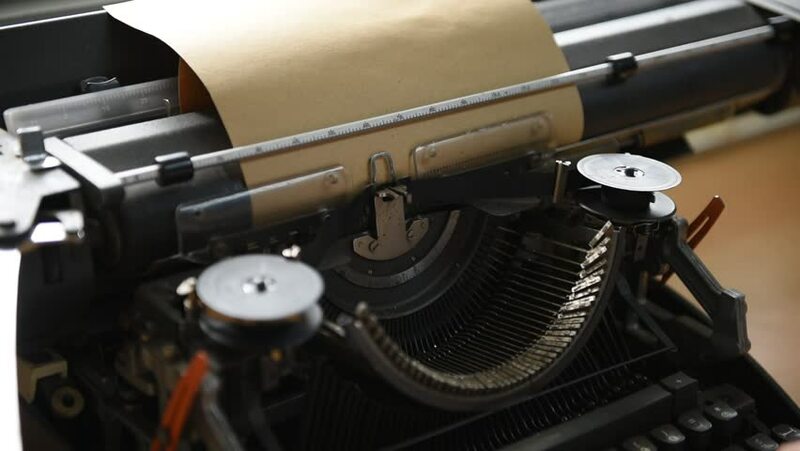 hd00:14Employees use old typewriter to type text. hd00:15Inside a super 8mm film projector: a spinning wheel, the lamp, the on-off button. A hand turns off the machine. Macro detail angled shot.